A low energy, high output LED deck and recessed light which consumes a small amount of power and stays cool to the touch. E3411W-N is a low energy, high output white LED deck and recessed light which consumes a small amount of power and stays cool to the touch. The high output 1.5w white led produces a wide 800 beam diffused by the 28mm diameter frosted lens. Install it to light across individual steps or in a wall about 40cm above a patio or deck. Long life high-output LED resin-encapsulated behind a frosted glass lens in a stainless steel case. The case has a spring mount which locates the light in a sleeve used to prepare positions in concrete, paving or walls. Comes supplied with 1m H05RN two core cable. 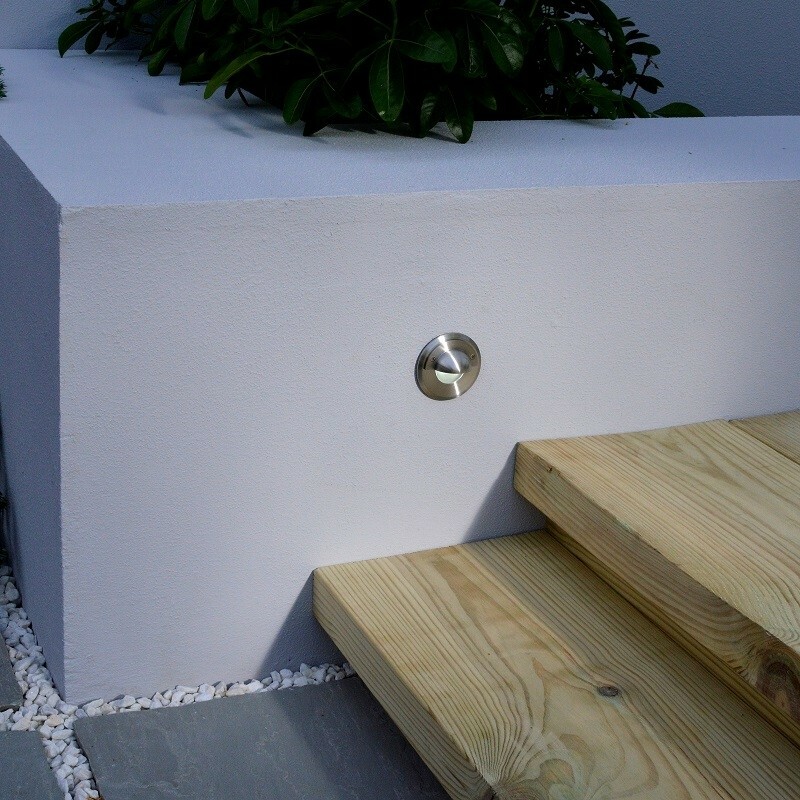 They can be recessed without the sleeve in decking sleeper walls and other materials using a 44mm hole saw. 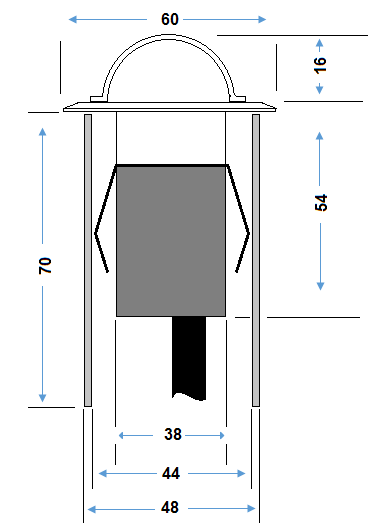 Diameter 60mm (sleeve 48mm; 44mm cutout without sleeve); recess depth 75mm. 12v 1.5w: NAVIGATORS should be powered by 12v dc power supply. 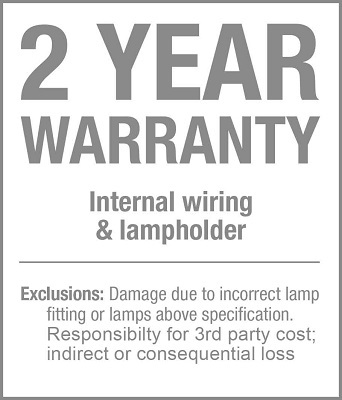 Do not use an electronic transformer to power Navigator LED lights. If powering from a 12v ac wire-wound transformer, ensure transformer is loaded to at least 75% of nominal rating. Navigator lights can be arranged in custom layouts using cable joint kits and 1.5mm cable, which is more flexible than kit-type products. Connect to the end of a low voltage cable using T9962 cable joint kit; for splicing into a run of cable use T9963 cable splice kit. The top section of this LED light can be unscrewed to allow the insertion of theatrical coloured gels to enable you to customise your garden lighting system.